The wait is finally over! 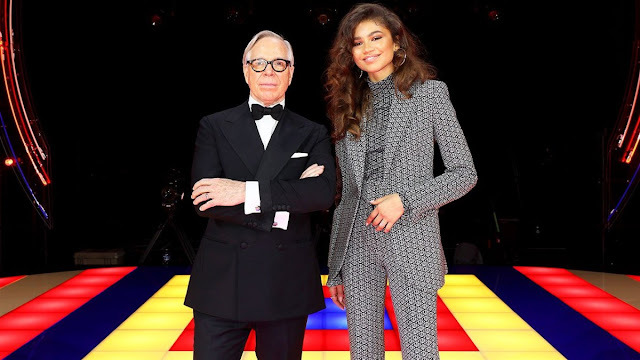 The highly anticipated collaboration between Tommy Hilfiger and Zendaya debuted on Saturday, March 2nd, at Paris Fashion Week. Zendaya, as reported by Elle, has taken over Gigi Hadid's role as the new Women's Global Ambassador for Tommy Hilfiger, and worked on her debut 'TOMMYNOW' collection with Tommy Hilfiger himself, as well as her stylist and friend -Image Architect, Law Roach. The show was live streamed on Tommy Hilfiger's Youtube Channel and started off as a '70s disco. 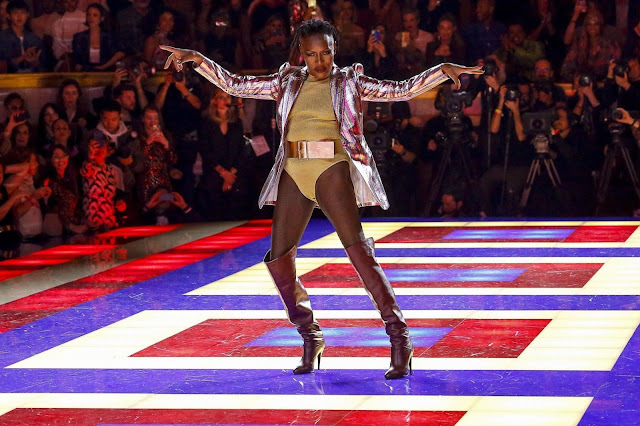 People were seen rollerskating and dancing around the runway to '70's inspired beats dressed in full '70s attire, which included flared and fitted pants, funky accessories, and high-waisted basketball shorts with knee-high socks. Once everyone took their seats, the runway was cleared and the show officially started. This collection consisted of lots of bold colors and prints, paying true homage to the 1970s. While each look was very unique, there were some recurring themes. Whether it be in the form of boots, blazers, pants or skirts, red (specifically burgundy) leather was seen multiple times throughout the collection. Not only was red leather seen on multiple occasions, but the color itself was seen a lot throughout the night (such as on striped shirts, bags, the panels of the runway, and every model's nails!). While many prints were used throughout the collection, stripes were definitely the one that popped up the most. Whether they were thin stripes (as seen on the metallic pieces) or boldly printed on sweaters and suits, stripes were definitely the print of choice for this collection. Zodiac signs have been very trendy in pop culture, and this collection showcased the prints on multiple occasions. Every sign has its own necklace and t-shirt, as well as every sign being included on the zodiac-printed tops, suits, and dresses. At the end of the show all of the models came out in jeans, which had "Z" and "T" embroidered on the back pockets, and wore them with the zodiac t-shirts. Denim made its way into many of the looks in the collection, some examples being a suit, top, and dresses, in addition to the classic pair of jeans. Inclusivity is something that has been greatly tied to this show, with the majority of the models being women of color, as well as representation among varying body sizes and ages. 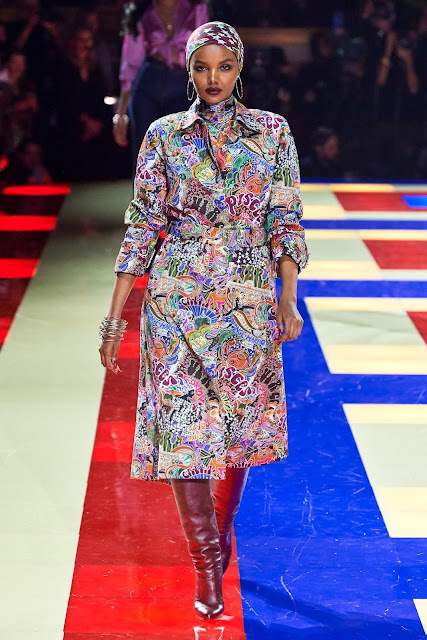 The show also included runway model legends such as Grace Jones, Pat Cleveland, and Beverly Johnson, who both Zendaya and Law Roach (as shared in an interview with WWD) said served as major inspiration for the theme of the show. The message of this show was one of positivity, inclusion, and empowerment, and I'm very much looking forward to seeing what the design trio does next!